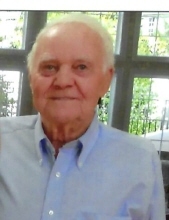 DURHAM: Jimmy Wyatt Mitchell, 83, passed beyond the boundaries of this earthly life on Tuesday, March 26, 2019. Jimmy was born August 30, 1935 to the late Archie and Lois Mitchell. He was married to Elizabeth (Ann) Camel in 1956. He was preceded in death by his wife, Ann Mitchell; siblings, Archie “Bud” Mitchell, Jr., Jean Chase, James “Dickie” Mitchell, Janie Bradburn, Ronnie Mitchell, Joe Mitchell, Roselee Taylor and Susie Bishop. Jimmy is survived by his daughters, Teresa Mitchell Beasley and husband Kevin, Wendy Mitchell; grandchildren, Jennifer Beasley Taylor and husband Scott, John Beasley, Allyson Allen; great-granddaughters, Kylie and Emory Taylor; siblings, Janice Cangas, Virginia “Faye Goss”, Ralph Mitchell, Lois Ann Hayes, Marie Moses; many nieces and nephews and his special friend, Dorothy “Dot” Beasley. Jimmy was a life-long Durham resident. He and his brothers grew up working on the family farm in Durham and in the family residential construction business started by his father, later known as Mitchell Brothers. The business covered many counties in the northern Piedmont section of North Carolina up until Jimmy’s retirement. For many years, Jimmy was a supporter of the Ruritan Club in his community, especially enjoying the barbeque dinners and attended Fieldcrest Baptist Church. In his later years, he enjoyed being with his “Bojangles Buddies” for hours of fellowship and laughter. He enjoyed hosting his family’s outdoor cookouts and watching NASCAR racing. A Celebration of Life will be held from 2 to 4 p.m., Saturday, March 30 at Clements Funeral Home in Durham. All family and friends are invited to attend. A private funeral service will be held at another time. In lieu of flowers, please consider making a donation to a charity of your choice. The family would like to extend their deepest gratitude to Dot for her faithful friendship to Jimmy and his family over the years and to care-giver, Tonya Truesdale. To send flowers or a remembrance gift to the family of Jimmy Wyatt Mitchell, please visit our Tribute Store. "Email Address" would like to share the life celebration of Jimmy Wyatt Mitchell. Click on the "link" to go to share a favorite memory or leave a condolence message for the family.